Little Bit is exactly that – he is only 39 pounds. Since he is only one year old, he is likely to add a little weight but will remain relatively small. He is a precious lab/hound mix which promises wonderful big, floppy ears. He is an affectionate pup who has a tremendous amount of love stored up to share. 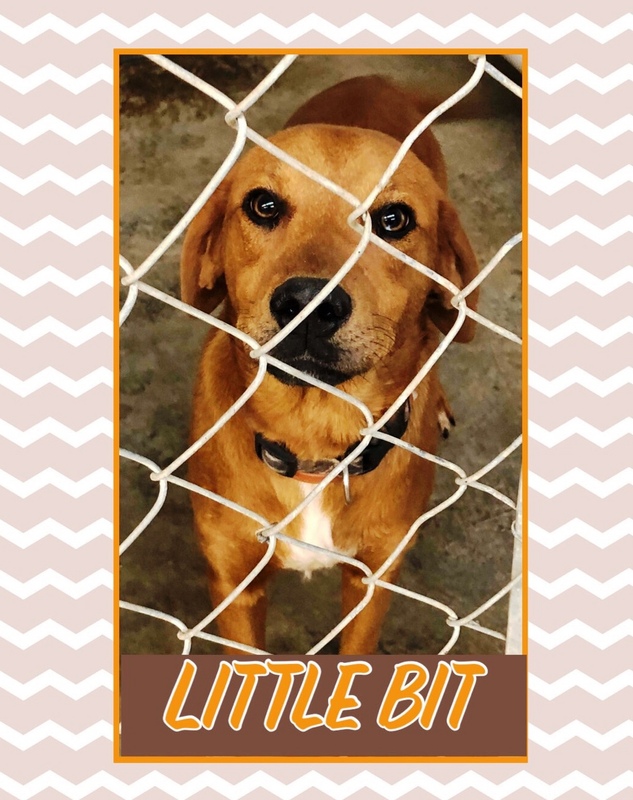 Little B was also found as a stray and although he is playful, he is also a very gentle dog and may be the perfect match for a young family. We apologize for this picture, but it is the only one we have. We will get better photos this weekend.